Granulated honey adds all of the flavor and none of the stickiness. 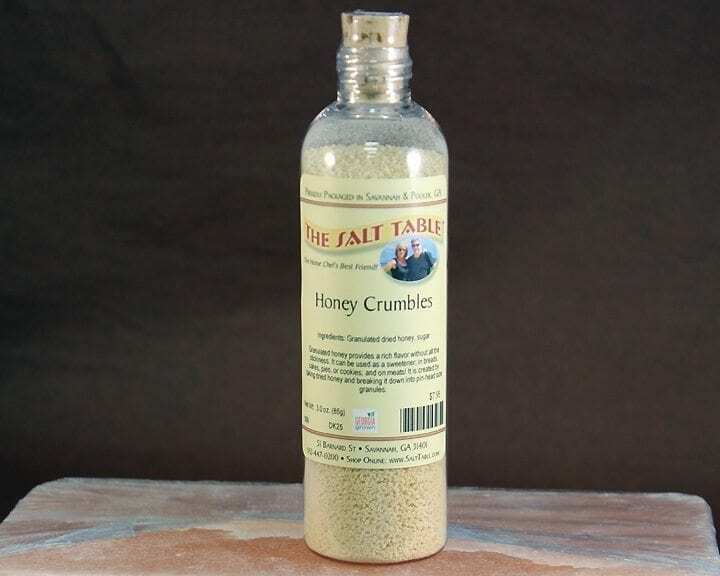 Honey Crumbles can be used as a sweetener, in breads, cakes, pies, or cookies. Also, honey crumbles are great on meats and veggies. Considerate it on french toast or pancakes or in your favorite beverage, wherever you’d use honey! The ideas are endless. It’s created by breaking down dried honey into pin-head size granules.